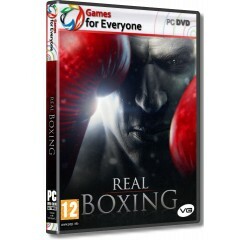 Real Boxing - R120,00 : Game Hunt, Where we lead, others follow. Real Boxing brings you the most exhilarating, no holds barred boxing experience ever seen on Steam. Featuring ultra-realistic motion capture from real boxers, with amazing graphics built using the powerful Unreal Engine, you'll be sure to feel every hook, jab, and uppercut. Train your fully customizable boxer and seek glory in career mode, or duke it out with other players in a deep and satisfying local and online multiplayer modes. Whether on a keyboard, or using a controller, Real Boxing plays just as great as it looks, delivering the ultimate boxing experience on Steam. Download Real Boxing Today! INCREDIBLY DEEP GAMEPLAY - Compete in a comprehensive career mode with three belt titles to conquer, Battle over 20 opponents, each with their own unique and adaptive fighting style. Then train your boxer using skipping rope, heavy bag and speed bag mini-games to bring your fighter up to scratch and learn new perks to boost your boxer's abilities. Combined with a huge variety of customisation options, becoming your own boxer has never been easier. REAL-TIME MULTIPLAYER THRILLS - Take your skills to the next level and enjoy hundreds of hours more gameplay in the feature-packed online multiplayer, or duke it out with your friends locally, on a single-screen, in your own prizefight. Bet virtual currency on your fights and climb the Steam Leaderboards to rise in the rankings and truly become the world champion. PACKED WITH EXTRA FEATURES & CUSTOMISATION - Unlock new equipment, extra opponents and customized clothing, as you progress in the boxing world. Tailor your fighter's appearance to your liking, including hairstyle, skin color, tattoos and gear. Fight across four distinctive arenas: Las Vegas, Moscow's Red Square, Rome Colosseum, and New York. IMPRESSIVE 3D GRAPHICS AND SOUND - Real Boxing harnesses the immense power of the Unreal Engine to bring you a great looking and sounding game, and create astonishing levels of atmosphere and realism. See and hear the crowd go crazy as you outbox your opponent. Watch sweat and blood fly with every punch and see your opponent's face take injuries - then relish the slow-motion replay of your greatest KO's.